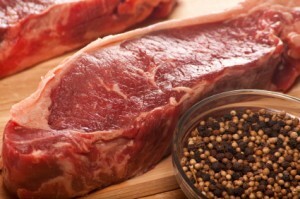 Shop online for home delivery of the finest quality grass fed beef! It’s now easy to enjoy the best quality grass fed meats – simply shop online and we’ll deliver to your door! No more driving around to organic markets or farmer’s markets only to be disappointed by the quality or selection. Our complete line of organic grass fed beef is extensive with a variety of steaks available and organic grass fed ground beef. We also offer organic free range chicken, wild caught seafood and pasture raised pork to satisfy all your lean protein requirements. Save yourself time and money by shopping from the convenience of your home! Grass fed meats are healthier for you because the meat is leaner, has fewer calories than grain fed feedlot beef and is higher in many nutrients. The cattle roam freely and never receive antibiotics, added hormones, steroids or other growth promotants. If you are new to grass fed beef, you will notice grass fed beef has a much richer, “beefier” flavor and more pleasing texture. Because it is leaner, it is recommended that you cook it at a lower temperature and to a lesser degree than you would a corn fed steak. Medium rare or medium are generally accepted as the best level of doneness, well done is not recommended. Marinating or dry rubbing (with our Signature Seasonings) your grass fed steaks is also highly recommended to increase tenderness and enhance its delicious flavor. All of our items are flash frozen and most of our items (all our grass fed steaks) come individually vacuum sealed to ensure freshness without the addition of chemicals or additives. (You can click on any individual item to read how it is packaged, ingredients and nutritional information) When you stock your freezer with our lean proteins dinner is only minutes away. Most items are ideally suited to “quick thawing” in a sink of cold water for just 10-15 minutes. Once, thawed simply season and cook, add a side of roasted vegetables or a salad and a healthy, satisfying meal is on the table! You won’t be tempted to eat out because the food you have is higher quality and better for you than restaurants offer – again saving you money. Plus, you control the seasonings and added fats to better control your diet. With our affordable shipping in Arizona, California and Nevada you can afford to serve your family the highest quality meats everyday! Our customers in Los Angeles, San Diego, Phoenix and Las Vegas all enjoy nature’s finest meats – delivered and you can, too! This entry was written by Jeff, posted on April 24, 2013 at 4:53 pm, filed under Announcements - Cities. Bookmark the permalink. Follow any comments here with the RSS feed for this post. Both comments and trackbacks are currently closed.